The most FAQ about treatments and services for your face/skin are answered by our experts in the field. Anti-aging creams, night serums and beauty products claiming to be “the best,” seem to be a dime a dozen in our local drug stores. But how do you know if what you are picking out is right for your skin type and will actually work its magic? That’s why we at Suburban Family like to turn to the professionals when it comes to dealing with the beauty of our faces. We spoke with local beauty experts to answer our most frequently asked questions when it comes to attaining younger, more vibrant, healthier—and happier—faces. How can I care for my skin in the summer sun after facial treatments? “The most important part involves a consistent home skin care regimen. 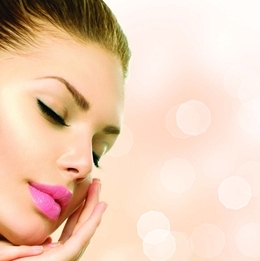 We offer a variety of medical-grade skin care lines at the Warmuth Institute of Dermatology. Starting the day with a great facial cleanser such as the Skin Medica facial cleanser is beneficial for all skin types. [It] will help to clean the skin’s surface allowing you to feel refreshed. To follow, use C-ESTA Face Serum by Jan Marini to brighten up your skin tone and complexion. “Dermaplaning is a form of physical exfoliation that gently removes dead skin and facial hair (vellus, aka peac h fuzz) with a scalpel. This is a treatment that can be done all year long every four to five weeks. This treatment offers quick improve ments in skin texture and tone, while the long-term effects include increased cell turnover, fewer wrinkles and dark spots, reduction of a cne scarring and the removal of fine facial hair. It is recommended for most skin types; however, active acne should not receive this treatment. Amy Articolo, D.O. & Suzanne Mackey, M.D. What is the difference between topical peels and fractional laser treatments? “Both treatments are designed to improve the look and feel of your skin by reducing lines, wrinkles and sun damage. Chemical peels a re solutions applied to the skin and penetrate the epidermis, or top layer of the skin, for a more advanced exfoliation. There are dif ferent types of peels, some more aggressive than others. Usually, multiple peels are necessary for optimal results. “A fractional tre atment uses laser technology to penetrate to the deeper layers of the skin, or dermis, and is the better choice for deep wrinkles or sc ars. There may be some ‘downtime’ after treatment, however, fewer visits are necessary for optimal results. “Microblading is an eyebrow procedure that has swept the nation due to its soft, natural flow of simulated hair strokes. This beautiful technique has removed the fear for those who have always wanted permanent eyebrows but were concerned about them ap- pearing too strong or intense. Microblading— when performed by a certified professional— wil l achieve a fineness to each individual hairstroke. What is a Vampire Facial/FaceLift? “Not the bloody massacre you think, a Vampire Facial is a combination of microneedling using your own plat eletrich plasma (PRP) in your blood. It tightens and gives an all-over evenness and glow to your skin. It also gets rid of scarring and f ine lines while also stimulating your collagen. “The HydraFacial is a cosmetic treatment used to improve the appearance and overall health of your skin. It uses a patented vortex-infusion technology to gently exfoliate your skin to get rid of dead skin and open pores. It extracts dirt, oil and any impurities with painless suction, whic h simultane- ously flushes the pores and nourishes the skin with intense moisturizers. The treatment finishes by saturating the skin wi th antioxidants and peptides leaving your skin with a deep clean refreshing glow. What is Laser Lipolysis and what areas does it target? “Laser/Smart Liposuction is the latest method for removing fat with laser tech- nology. The technique uses a laser to rapidly dissolve fat and tighten the surrounding skin almost anywhere in the body. The procedure is done in an office setting and does not require the use of a general anesthetic. “Almost all areas that have excess fat can be treated. C ommon areas treated are the chin, neck, jowls, arms, male chest, female breast and sides of breast, back, flanks, abdomen, inner and outer thighs and the buffalo hump. 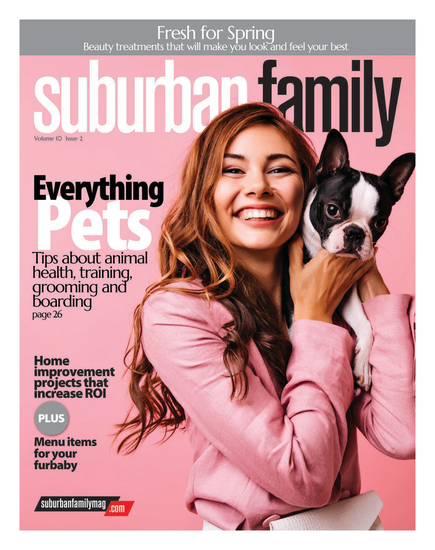 Published (and copyrighted) in Suburban Family Magazine, Volume 9, Issue 3 (May 2018).